Clothing in Late Antiquity was not the disposable commodity it is nowadays; it was valuable enough to be named in a will, used as surety for loans, or included in a dowry. Literary sources suggest that wealthy and high status individuals had many and beautiful clothes, however for the middle and lower classes clothing was an expensive necessity that was not to be wasted. This was true for the majority of the population, and ranged from enslaved and poverty stricken workers to the relatively prosperous members of the working middle class. 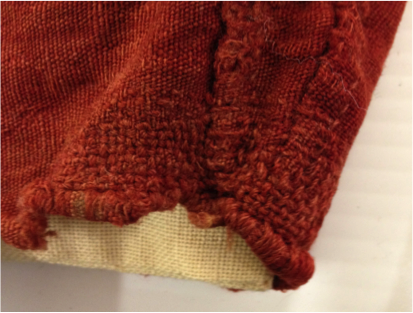 While we might expect the former to have ragged and patched clothing, the evidence indicates that even members of the latter group might have needed used or recycled clothing as well as materials to embellish, mend and maintain their clothes. Next Next post: Religion can make you stink!